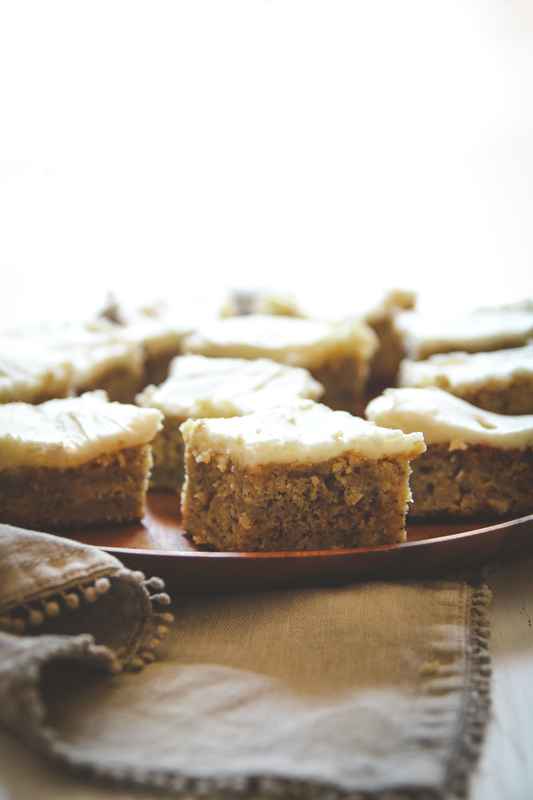 This is the best banana snack cake with Greek yogurt frosting recipe around, you’re going to make it over and over because it’s so good! 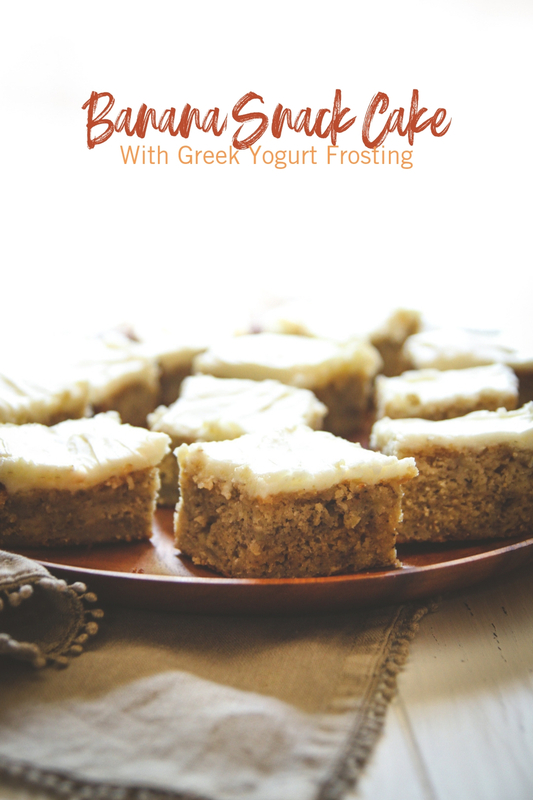 This easy banana snack cake is made with Greek yogurt and has a Greek yogurt frosting and is perfect for any occasion – it definitely makes for a great snack or dessert. 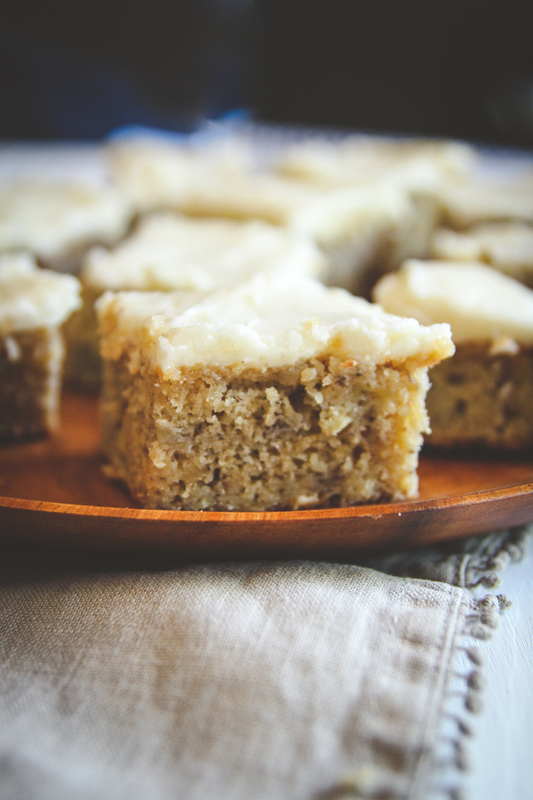 This banana snack cake is the ultimate snack cake recipe. 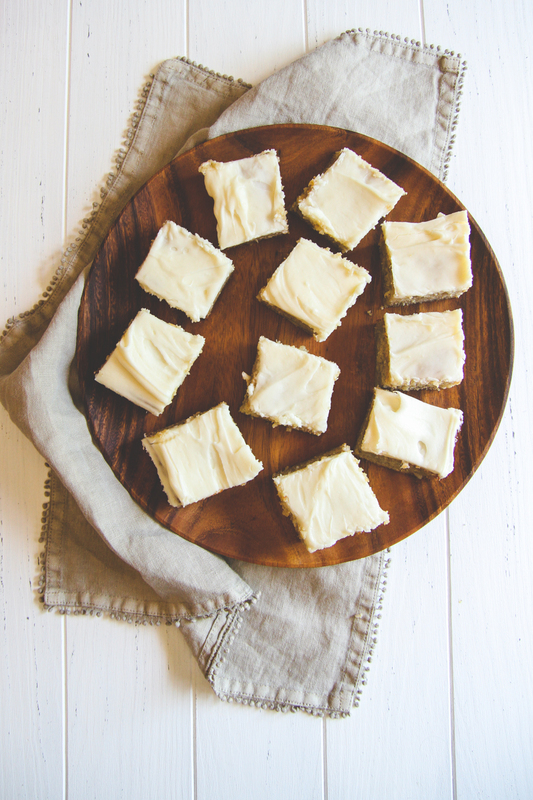 Light and small enough for a snack, because it’s made with Greek yogurt and less sugar than traditional cake, you won’t feel guilty about having a piece (or two!) or feeding it to kiddos. With a slightly sweet and perfectly tangy frosting, your guests will be requesting this cake over and over again. Banana desserts are a huge favorite in my house. My husband in particular goes nuts over banana desserts. A few years ago I made this banana caramel swirl cake, and it’s one I have made repeatedly and always gets rave reviews, so I thought I’d step it up a notch and make it a little more kid friendly (less sugar and a few more good ingredients like Greek yogurt!). Since bananas are one of my son’s favorites, I made this cake for his 1st birthday party. I made him a little cupcake and then doubled the recipe and made it into a larger 9 by 13 pan for all the adult guests. What really sets this cake apart is the Greek yogurt frosting. Greek yogurt has a wonderful tang to it, and it works really well for creating smooth and creamy frosting for banana cake. I’ve included instructions on how to make Greek yogurt frosting in the recipe below. 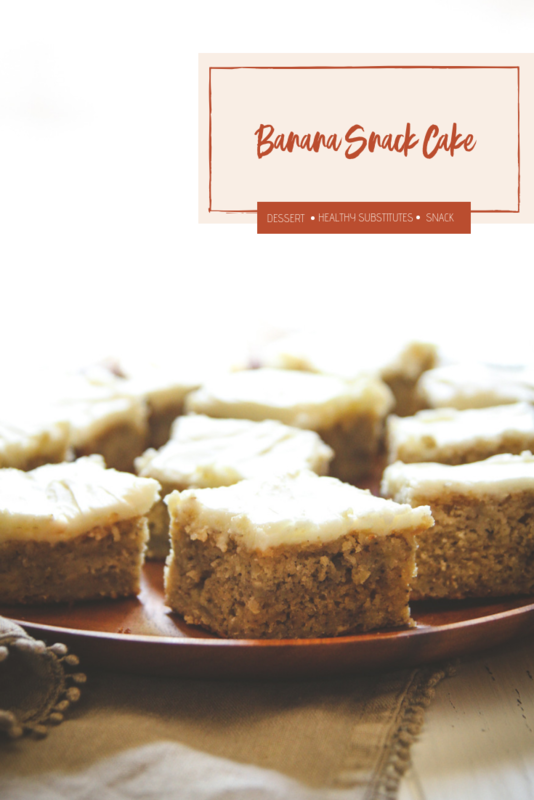 I think you’re going to love this banana snack cake recipe! 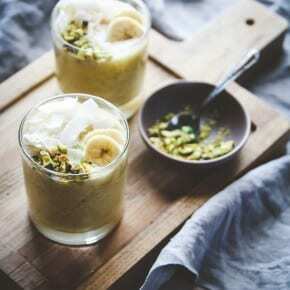 I’d love to hear from you in the comments: do you like banana desserts? Preheat oven to 350°F. Spray an8 x 8 cake pan with cooking spray, or line a 12 muffin pan with cupcake liners. In a medium bowl, whisk together the flour, baking powder, baking soda, salt and cinnamon and set aside. 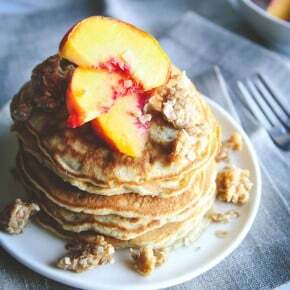 In the bowl of a stand mixer (with the paddle attachment), or in a large bowl with a hand mixer, add the butter and sugars (granulated and brown sugar) on medium speed until well combined and light and fluffy – about 3-4 minutes. To the butter and sugar mixture add the Greek yogurt, vanilla and eggs and mix until combined - about 2 minutes. Gradually add the flour mixture to the butter mixture and mix until just combined. Fold in the mashed bananas until incorporated, you want to fold in the bananas until they are just incorporated, you don't want to over mix, so a few lumps are ok.
Pour the batter into the prepared cake pan, or divide the batter between the lined muffin pan. 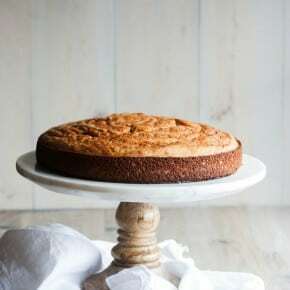 Bake the cake for 25 minutes, or until a toothpick inserted into the center of the cake comes out clean. If making cupcakes, bake for 18-20 minutes, or a toothpick inserted in the middle of the cupcake, comes out clean. In a the bowl of a stand mixer (with the paddle attachment) or in a large bowl with a hand mixer, cream together the, Greek yogurt, cream cheese, and butter until well combined and smooth - about 3-4 minutes. With the mixer on low, gradually add the confectioners’ sugar a cup at a time until incorporated and smooth, and lastly add in the vanilla extract and mix for 2 more minutes until smooth. Makes 1 8x8 square dish of cake or 12 cupcakes. You could also use a 9 x 9 pan, it just won't be as thick! Recipe easily doubles, I like doubling it and making it for adult parties in a 9 x 13 pan, baking time increases when doubling the batch to around 40 minutes. Store leftover cake/cupcakes in the refrigerator for up to a week in an air tight container. Thank you so much for your wonderful comment, I think you’ll love this cake!